The "RP" Burner is a product that came about by the suggestions of Roger Parramore, an artistic glass worker. 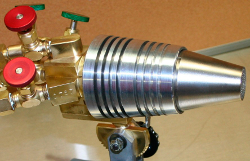 The "RP" is a modified version of the standard CC Plus Burner. 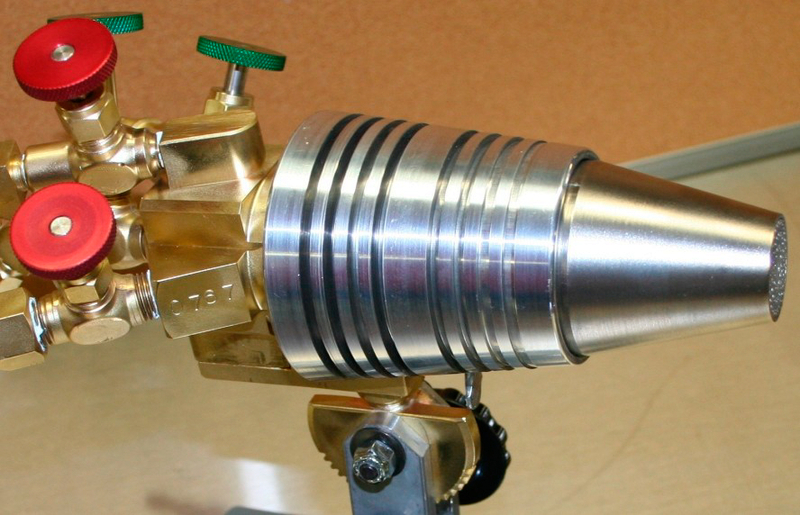 The "RP" Burner includes a stainless steel outer casing that replaces the standard brass, to increase heat dissipation. The stainless steel outer casing also has a more tapered head that gives it less of a surface area to absorb heat, and allows the operator to work more closely to the burner tip. The "RP" Model is available with all of the options and accessories of the standard CC Plus.